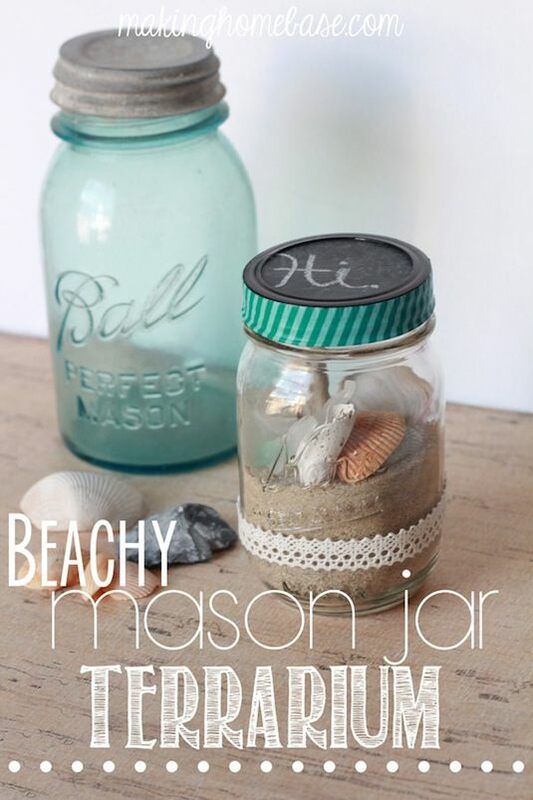 Use a mason jar to display items from a recent beach vacation! You could even place a photo from the trip on the inside as a backdrop. I did this last year and the jar ended up full of bugs! It might be a good idea to clean and air out your shells before sealing them in the jar. Hehe. 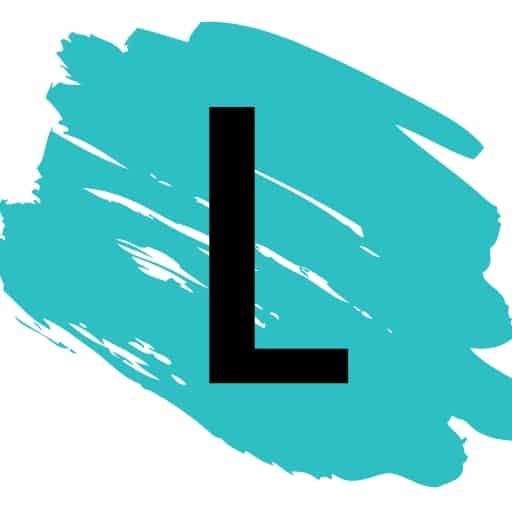 Check out the full details for this project here. 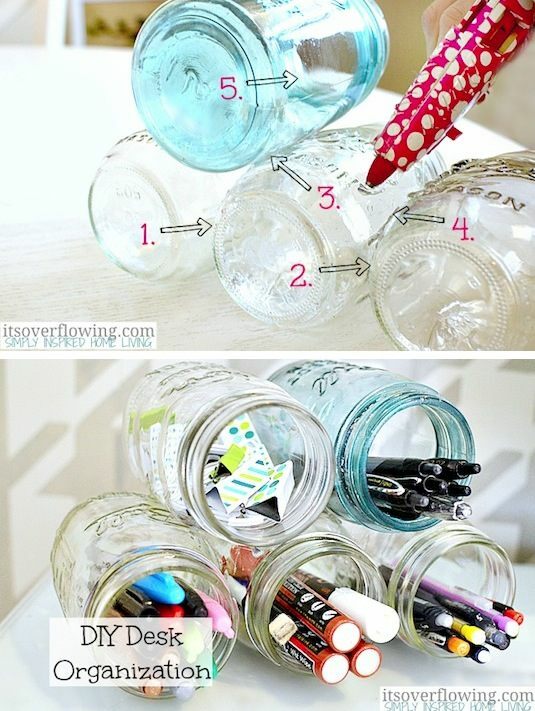 Stack and glue jars, and then use them to store your office or craft supplies. How clever and cute is this!? I like this idea for a shelf over a desk, so that your supplies are easy to grab. Check out the instructions over at It’s Overflowing. Use pliers and wire to turn mason jars into hanging lanterns. You could use just about any filler to make it fitting for the occasion. Top them with a tea light, and hang them indoors or out. You could also simply fill them with flowers for pretty hanging bouquets. Check out the instructions for this project over at Intimate Weddings. View the entire list of 20 Of The Best Mason Jar Projects.